FAHA is gearing up to host what it hopes to become a yearly tradition. Designated as the FAHA MEGA SWAP the event will be held Saturday April 20th, 2019 from 10am to 5pm. Right now the club is attracting in Food Trucks, Vendors of all types, Crafters and Individuals wanting to sell used tack and flea market items. Attendees can spend the can spend the day shopping and sampling foods for various food trucks with a small $2 donation per car. As of this post the event had gained considerable attention in just the first 24 hours of being announced. Youth Rodeo participant races out of the final barrel at Crooked Creek Horse Park. Photo Credit: Pictures by The Reinman. 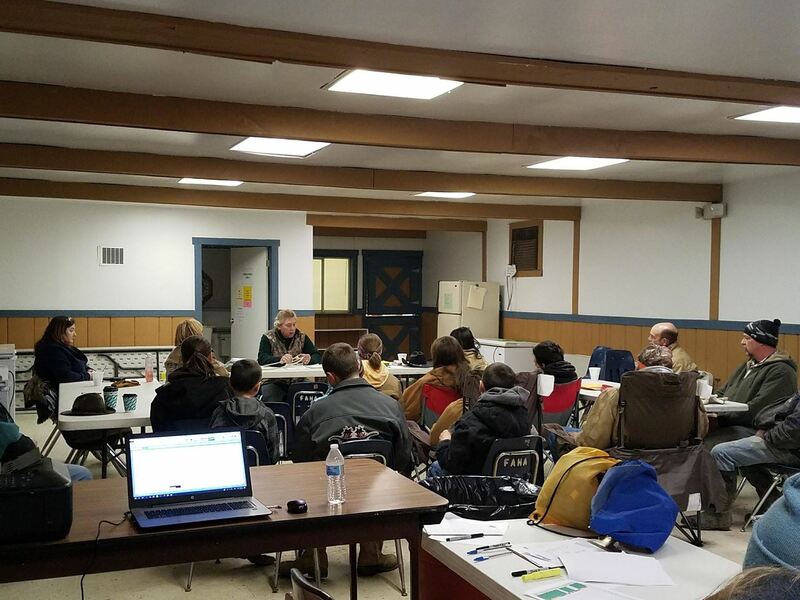 April 9, 2018 , Manor Township, Armstrong Country PA.
Fort Armstrong Horsemen’s Association, FAHA, opened their first event of the season on April 7th and 8th, by hosting Western PA Youth Rodeo Association, WPYRA, for one of their six scheduled events this year at Crooked Creek Horse Park. The newly elected Board of Directors of FAHA and numerous volunteers have been prepping the park and equipment since February. Ron Bowser, a member since the inception of FAHA in the early 80’s, is one volunteer that has been helping get the grounds and facilities ready. 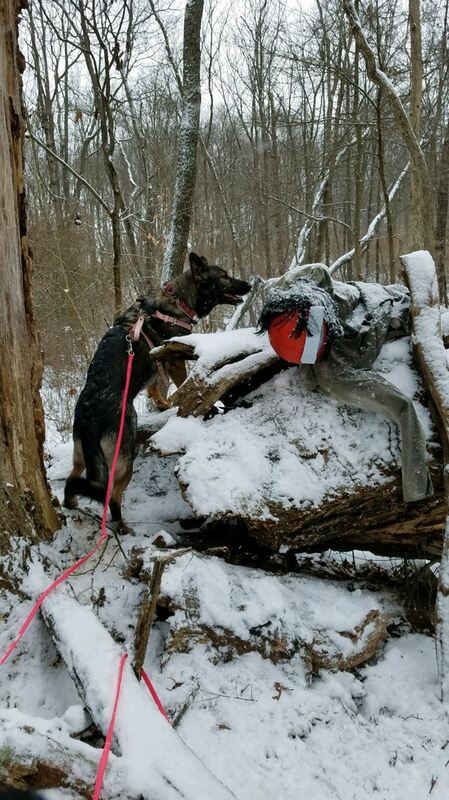 “The weather has been a challenge. The late snow and cold have prevented us from doing some standard spring cleaning to last minute. But we have also repaired sections of the barns and stalls as well as some electric.” Said Bowser, “we have been running this park since we first established it as an equine facility in 1986 and we have always tried to not let anyone down." WPYRA has been using the park for some of their events for the last few years and was happy to return for another year. WPYRA promotes youth involvement in America’s oldest sport, Rodeo. Founded as a charitable and educational organization, they conduct events and clinics for youth from preschool to 19 years of age. 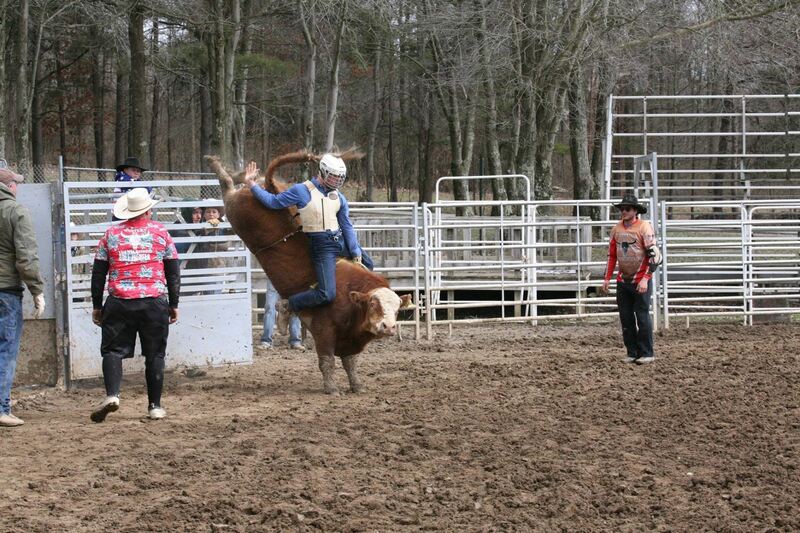 The types of events include goat tying, barrel racing and even bull riding. It is Rodeo related they do it. The organization isn’t just about Rodeo, they focus on teaching community and working together. Participants must attend mandatory meetings prior to events starting. The organization also hosts a cowboy church for participants on Sunday morning. This past Sunday Ray Urksa, led the service using a lariat as a center piece for compelling message about how the community can bind together. Ray Urksa leading Cowboy Church on Sunday April 8th, 2018 at Crooked Creek Horse Park. Photo credit Laura Wilson. 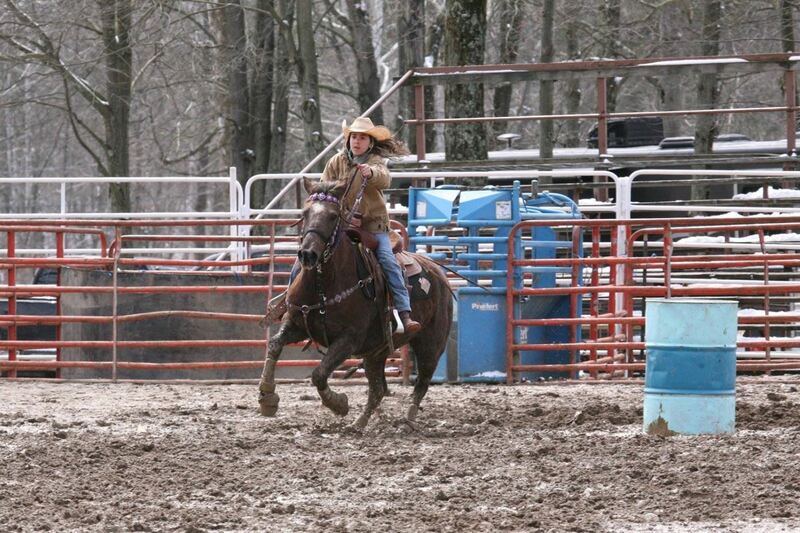 A Youth Rodeo participant is one of the first to use the newly acquired bucking chutes. Photo Credit: Pictures by The Reinman. This year the concession is being run by Lil Jackie’s Concessions. “I came to the park Saturday morning to help and the smell from the kitchen was irresistible. The pancakes were so big they barely fit on the plate and were amazing. The kids were loving the cheese fries, walking tacos, and burgers. Everyone really needs to leave room for multiple trips to the concession stand this year, you won’t be disappointed.” Said Tina Zanotto, Treasurer of FAHA. “We have a really full schedule, but the entire board is working hard to make a great season for FAHA members and show producers. These are both great organizations for the local community to get behind and we hope people come out to watch and support them.” Said Vice President of FAHA, Christine Blystone. The WPYRA, a non-profit 501(c)3 organization, promotes youth involvement in Rodeo, one of America’s oldest sports. 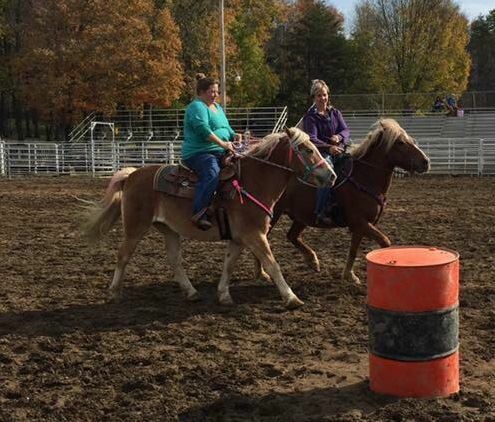 Founded as a charitable and educational organization, the WPYRA conducts youth rodeo events and clinics for any interested youth from preschool to 19 years old. We are excited to announce our logo creation contest! use your creative skills to create us a fresh new logo for Fort Armstrong Horsemen's Association! See requirements and entry form below! As the new board and officers begin their work for the year, I want to include our membership in all of the wonderful events and potential changes we have in store for our equine families. In my past few years as a member and board member, the organization has been working towards positive changes for its members and the park; we hope to continue this trend. The second step is to work on funding and renovations. Over the past few years the organization has earned grants and worked with groups to make wonderful improvements to the horse park. I hope to continue this effort and revitalize the trails, that so many love to use. With the help of the board, there will be a planning committee to focus fundraising and budgeting to upgrade necessary structures. Although the park is running well and looks great, there are major projects that need renovated, replaced or updated. So my financial goal in 2018 is to raise funds to help start these projects and continue to offer a fantastic equine facility to all of our members and guests. The third step is to bring more people out to the park to enjoy its facilities and participate in the decisions moving forward. The organization has had some wonderful events this past year, like our first annual Sasquatch hunt and Tack Auction or the continued annual Fall for Animals and Fort Armstrong Championship Rodeo. 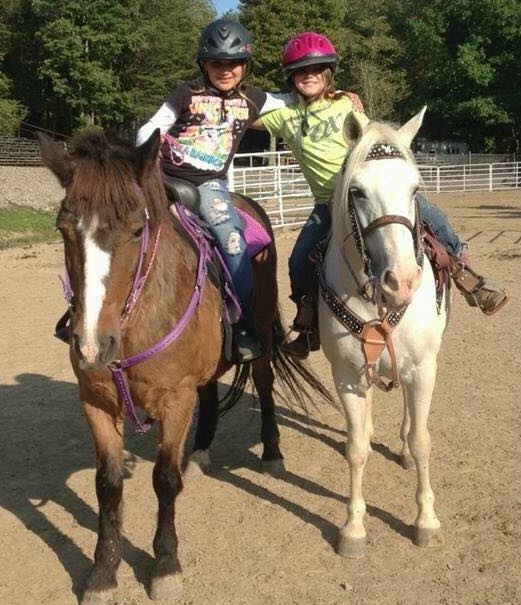 These events are for the community and equine lovers alike and offer fun for all ages. The organization monthly meetings are open for all to attend, participate and learn about the events at the park. I look forward to seeing you there. Sign and Flyer Placement: Signs and flyers need to be placed far and wide. Consider picking up a few at the June meeting or when at the club house on the weekend to post. Please be cautious and only place signs in locations where it is permitted by local laws. Parking: Volunteers are needed Friday and Saturday to assist with parking participants and spectators. Ages 16 and over with good team work skills and a mind for safety and customer satisifaction. Non-profit organizations such as local clubs, fire departments, etc that would like to lend resources to parking will gain a small monetary donation for their organization in exchange for assistance with park. Trail Ride Drag Rider(s): We need one or two dependable drag riders for the Saturday morning trail ride. Must have sound and sensible mount capable of covering the covered bridge trail and back. Experience with the trail a plus, as well as a patient horse willing to stay back with slower riders or those experiencing problems. Its your job to tail everyone and make sure they return to the park. Concession Stand Helpers: Friday and Saturday night assistance to the concession stand during busy times. Park Prep: As needed week prior to Rodeo assisting with setting up, clean up, etc. The Rodeo does not happen without volunteers. If you appreciate this yearly event in the community, please consider helping out. NOTE: We cannot guarantee those volunteering on Rodeo night will be able to watch the Rodeo. If you have a strong desire to watch the Rodeo, consider volunteering one night and watching the other. We will release you during slow times or when your work is done to watch the show. Please contact Laura Wilson at laurabwilson@gmail.com for details and dates for the above bids. Please include which project(s) you would like to bid for in the email. All bids must be submitted (post-marked) no later than May 13, 2017. Check out our You Tube video on how to find the schedule, event information and how to register events. MUST USE A STALL $10 per horse/per stall for length of stay. Stalls and camp spot must be vacated by 10 AM on Thursday to allow cleaning in preparation for show. STAYING FOR A WEEKEND SHOW? FAHA Members intending to stay for a show scheduled on the weekend may extend the FREE camping Thursday thru Friday but MUST CONTACT THE WEEKEND SHOW PRODUCER to seek a Barn/Stall Assignment. Please do not assume that you can choose your own stall. Many show producer have stalls pre-assigned! Friday through Sunday Camping rates and week-end stall rates will be set by the individual Show Producers. Each Show Producers weekend Camping and Stall rates may vary. You will be charged Show Producers CAMPING & STALL RATE in addition to the park's pre-event $ 10.00 stall fee if you elect to stay Friday thru Sunday. Non-compliant Members will be asked to pay regular camping and stall rates and be asked to vacate stall immediately. Must pay regular daily camping fees and stalls costs for each day prior to Friday. Event fees take over starting Friday.